Our skin is sensitive to too much heat, dust, stress & many other environmental factors. Then a reusable hot and cold gel pack can be the perfect way to relax & rejuvenate. This pad can be kept in the refrigerator (for cold therapy) or in to the warm water (for hot therapy) now it is ready to use. 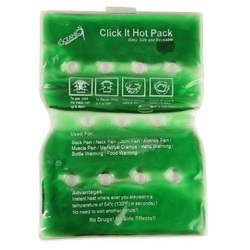 Take a break, relax & feel how the Reusable hot and cold gel pack works. Keep it in refrigerator for 15-30 minutes, before use it. If the temperature is too extreme, wrap a thin towel around the mask before using. Keep it in warm water for 5 to 10 minutes, before use it. If the temperature is too extreme, wrap a thin towel around the mask before using. 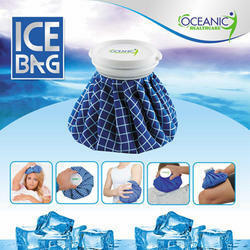 These Hot Ice Bag Bags are excellent therapy for neck and back pain, sporting activities injuries, strains, blog post medical recuperation, inflammatory joint inflammation, and tendonitis, ideal in high fever, decreases discomfort, commonly utilized by sporting activities individuals. Suits to any type of shapes of the body. Unique cloth prevents ice slurry dew. Devoid of condensation as compared to the regular ice pack. Perfect for ice dental filling. Devoid of condensation as compared to the regular ice pack Safe.